Pairings for Infused Honey - Lone Star Bee Co.
Use your gastronomic imagination and pair our uniquely handcrafted infused Texas honeys with your favorite everyday foods! Take this recipe a little further by adding a pat of butter and a dusting of powdered sugar. Your cowboy loves fried chicken. You love it too, especially when you don’t have to cook it. Pick up crispy fried chicken for your beau from your favorite restaurant. 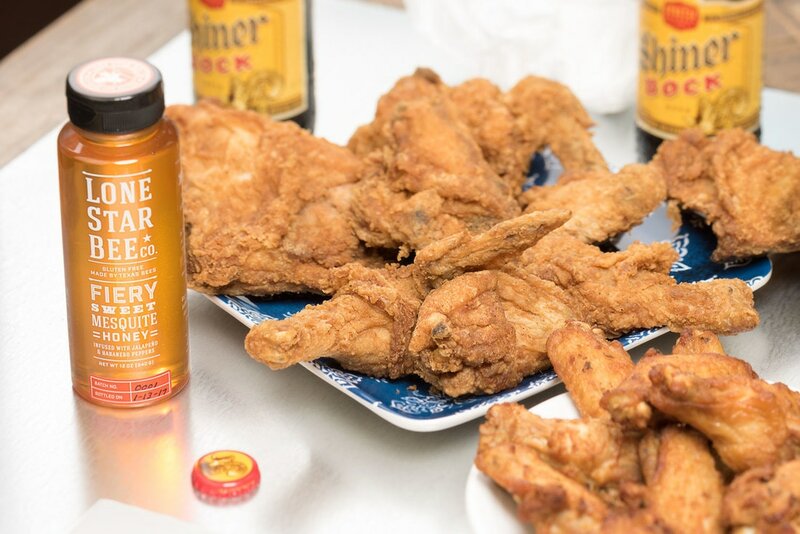 Drizzle your chicken with Lone Star Bee Company's Fiery Sweet Mesquite Honey. This meal will be so great (and easy), he won’t care what you call him as long as you don’t call him late to supper! What meal could be easier than pizza? Heck, it can even be delivered to your front door. 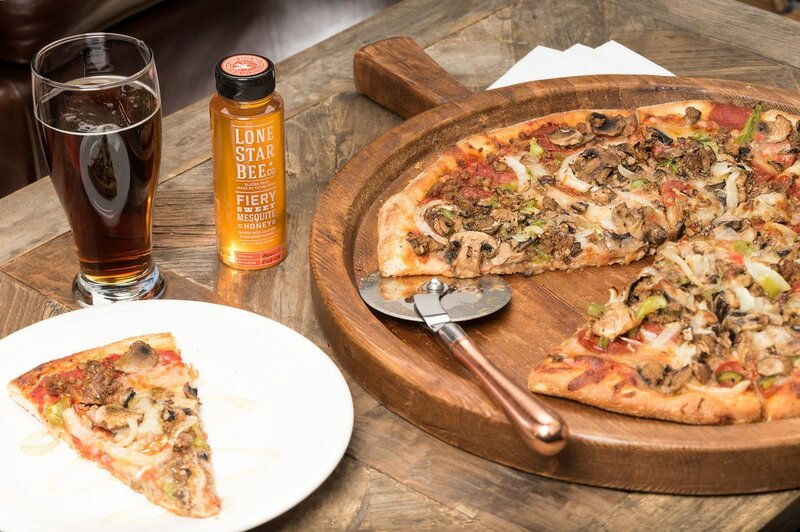 Drizzle Lone Star Bee Company's Fiery Sweet Mesquite Honey over your favorite pizza for a sweet and spicy kick. This is easy. When any platter is without honey, something’s just plain missing. 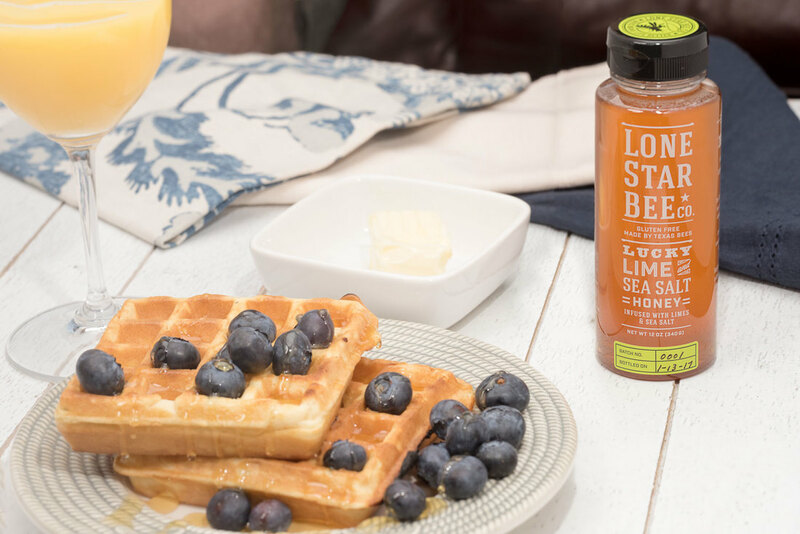 When a platter includes any variety of Lone Star Bee Company’s deliciously infused honeys, it’s tastier than all get out. 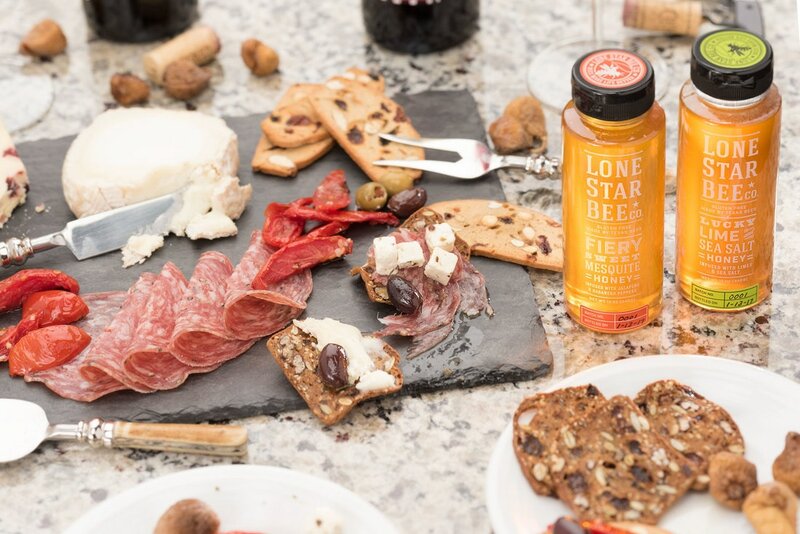 Pair Lone Star Bee Company’s Lucky Lime & Sea Salt Clover Honey or Fiery Sweet Mesquite Honey with your favorite meat and cheese to round out your charcuterie selection. Here's a twist. 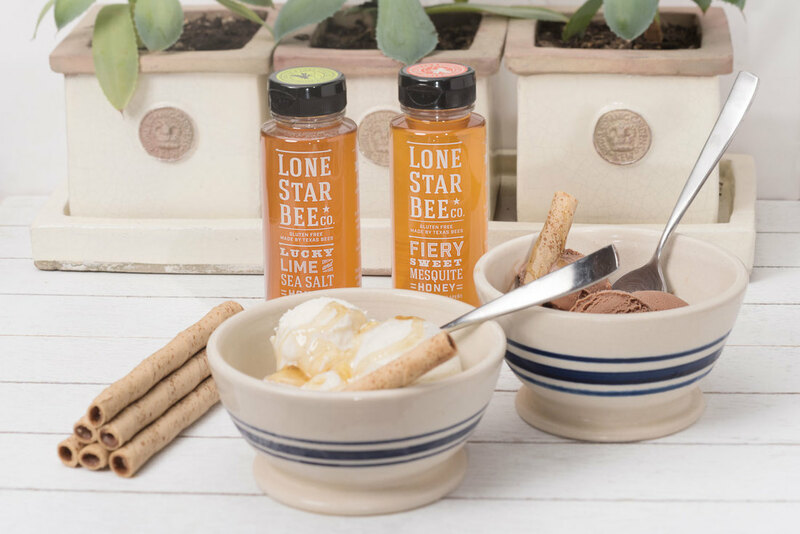 Drizzle your favorite ice cream with Lone Star Bee Company’s Lucky Lime & Sea Salt Clover Honey or Fiery Sweet Mesquite Honey for the best cold dessert you ever expected. You can hang your hat on it. Try this. Pick up sopapillas from your favorite baker and bring them home to share with your family and friends. 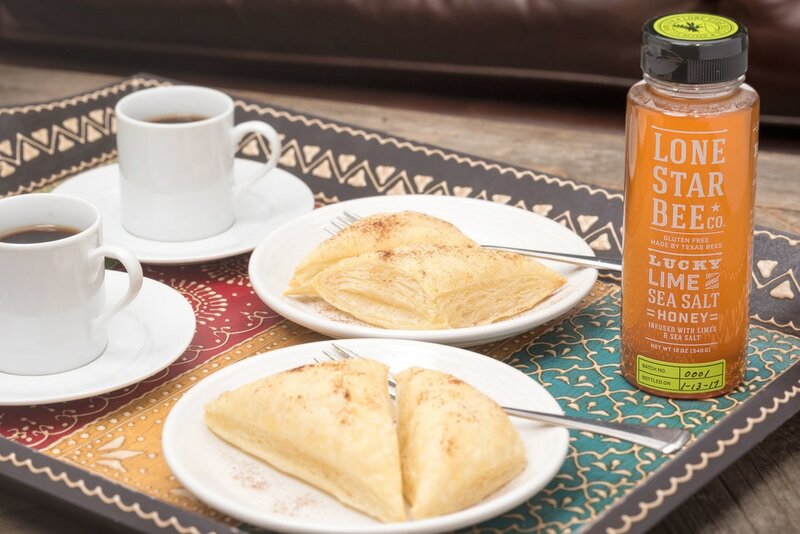 Drizzle your favorite sopapillas with Lone Star Bee Company’s Lucky Lime & Sea Salt Clover Honey. Share with your loved ones and they’ll know this ain’t your first rodeo! Grilled shrimp, baked red fish, blackened catfish, fried oysters, calamari, ceviche...the list is never-ending. 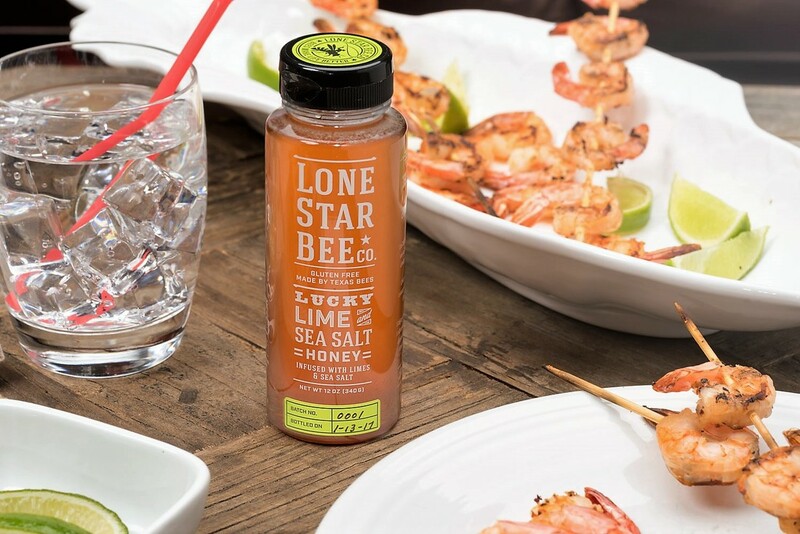 Drizzle nearly any seafood dish with Lone Star Bee Company’s Lucky Lime & Sea Salt Clover Honey. Garnish with chopped parsley and lime slices for a sweet and zesty experience. ​Drizzle brussel sprouts, asparagus, green beans, yellow squash, broccoli, collard greens and artichokes with Lone Star Bee Company's Fiery Sweet Mesquite Honey. 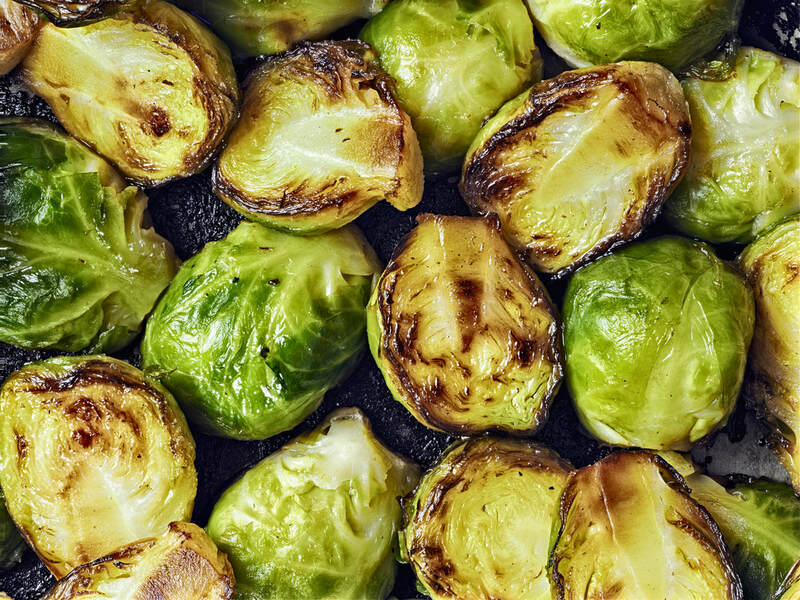 You'll find out that you never realized you liked veggies so much! This is one of our favorites; there's just something about pork with honey. 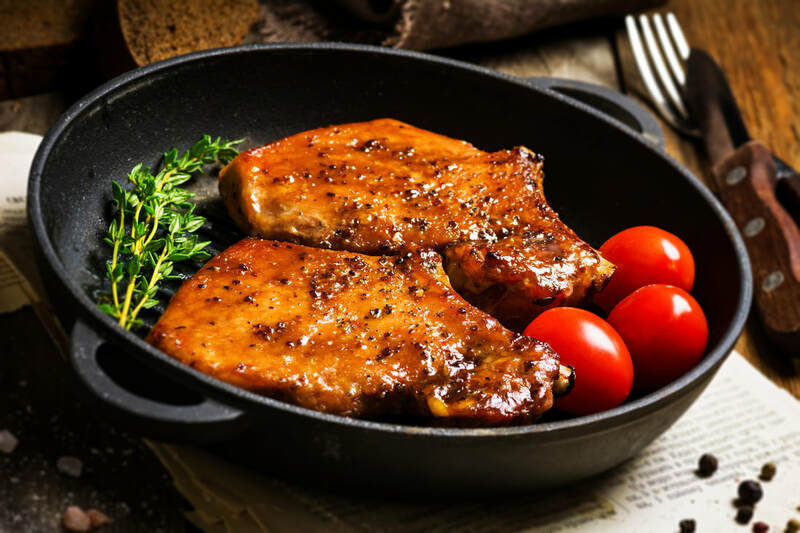 Drizzle Lone Star Bee Company's Fiery Sweet Mesquite Honey over your pork chops. Whether fried, grilled, or baked, this pairing is a winner. 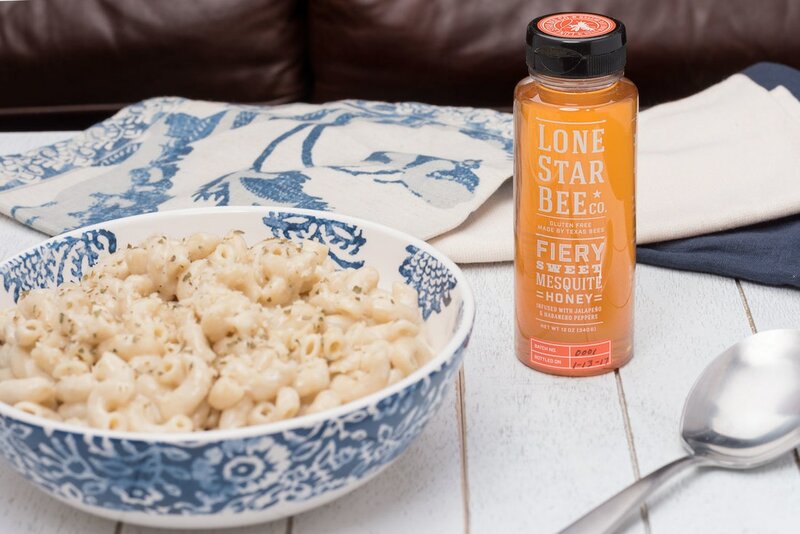 ​Drizzle Lone Star Bee Company's Fiery Sweet Mesquite Honey all over your mac and cheese dish for a sweet and fiery experience. 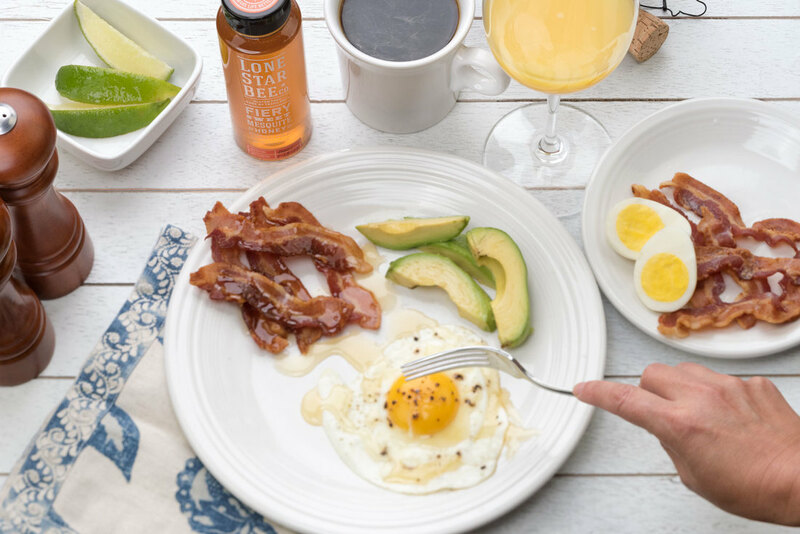 ​Whether poached, scrambled, or over-easy you will love the flavor of our Fiery Sweet Mesquite Honey drizzled over your eggs. Try this infused honey in place of hot sauce and enjoy every bite! 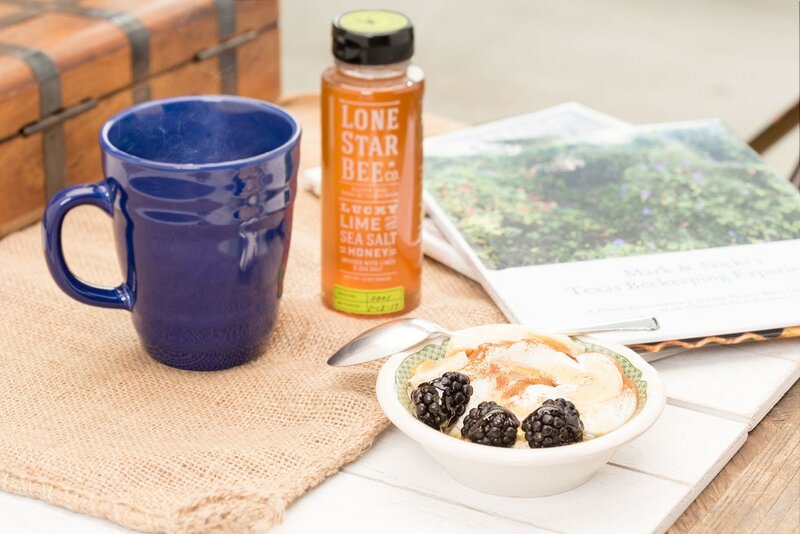 ​Lone Star Bee Company's Lucky Lime & Sea Salt Clover Honey is the perfect topping for yogurt. Add fresh fruit for a quick and healthy snack any time of day. Biscuits always need a little extra something and honey is a perfect topping. 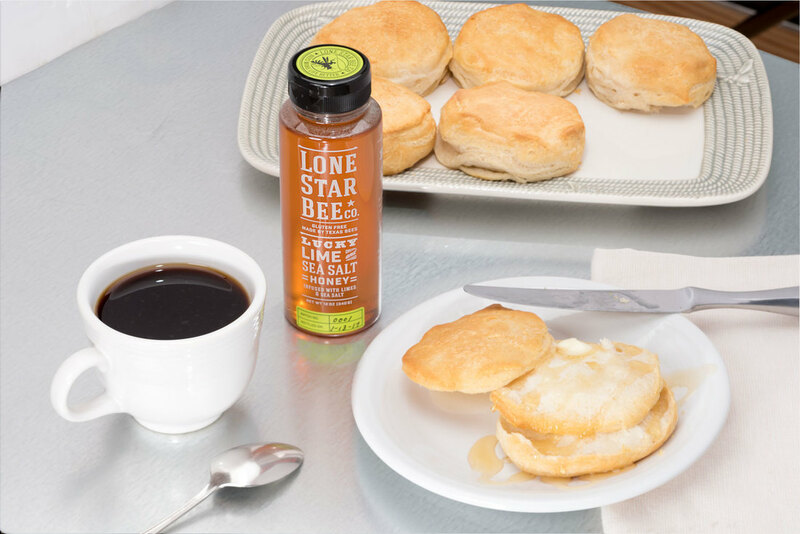 Add Lone Star Bee Company's Lucky Lime & Sea Salt Clover Honey or Fiery Sweet Mesquite Honey and give your biscuits a boost of flavor. 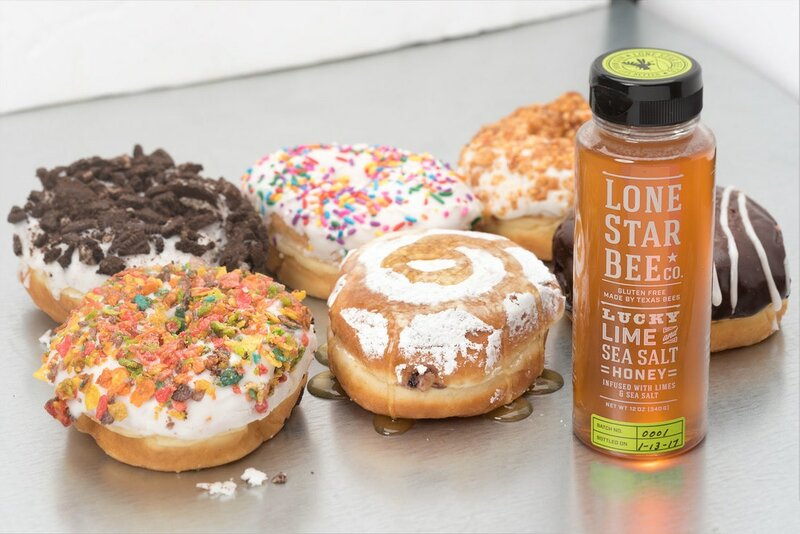 Try Lone Star Bee Company's Lucky Lime & Sea Salt Clover Honey or Fiery Sweet Mesquite Honey with your donuts. Let's see how creative you can be! 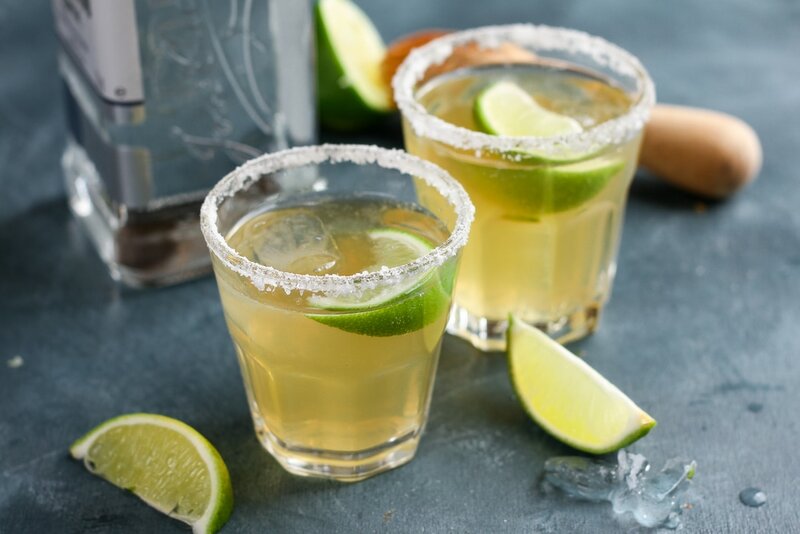 Margaritas: Substitute our Lucky Lime & Sea Salt Clover Honey in place of simple syrup or agave syrup. Use a shaker to incorporate honey into alcohol before adding ice. Use the infused honey to rim your glass with salt.